What Is Fudge up to Now? In the final book of the series, we meet a new band of Hatchers. The Howie Hatchers are cousins of Warren. The adventure leading to the meeting begins with Fudge’s newest obsession. 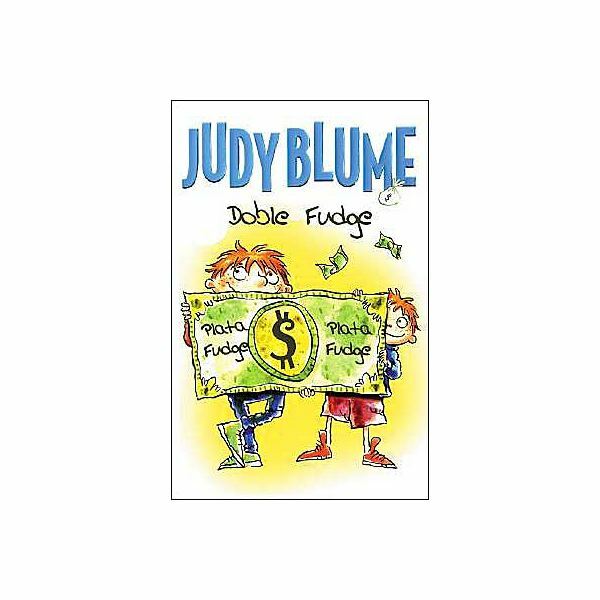 Fudge has become obsessed with money, stating he wants to be a “miser" when he grows up. The family takes a trip to Washington D.C., where they run into Warren’s cousin Howie and his family. This family of Hatcher’s is planning a visit to New York City and wind up moving in with Warren’s family, much to Peter’s dismay. The book centers on Peter dealing with his twin cousins Flora and Fauna as well as Fudge dealing with his cousin, who is also named Farley Drexel. Quickly nicknamed Mini, the new Farley Drexel is seemingly as offbeat as his infamous older cousin is. We see hints of previous stories when this character appears. Mini emulates Fudge just as Fudge emulated Peter. Peter and his friend Jimmy have their own problems here as well. Jimmy is dealing with his father’s impending re-marriage and Peter is dealing with his twin cousins, professionally known as the Heavenly Hatchers. This singing duo performs at his school, befriends Sheila Tubman and sleeps in his living room. How will he ever survive their visit? Use the downloadable book guide, complete with several discussion questions and a mini project to spark interest in reading the novel in class. There is also a downloadable vocabulary list, 10 words students need to know in order to read the book, which will prove to make reading comprehension easier for all students. Happy reading!